Improve the capacity, performance and flexibility of your mid-tier storage with highly scalable EqualLogic™ PS6110E 10GbE iSCSI SAN arrays. Master your data-hungry tasks with EqualLogic™ PS6110E—high-capacity performance with flexible 10GbE connectivity for highly consolidated mid-tier storage. Fulfill your high-capacity needs with the PS6110E 10GbE iSCSI array, a Dell™ Storage solution with a virtualized scale-out architecture that delivers enhanced, flexible storage performance that is easy to manage. Move volumes (databases/virtual machines) online between any pool or disk resources. 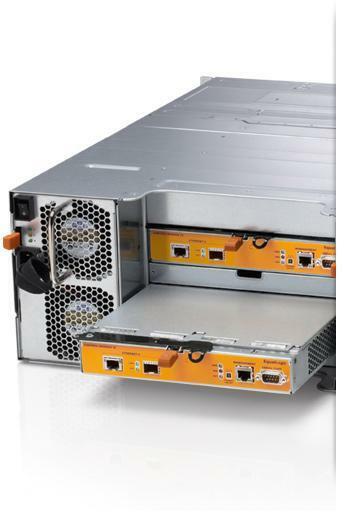 Build capacity for your mid-tier data center with versatile PS6110E arrays. With 24 nearline serial-attached SCSI (NL-SAS) 3.5" drives and up to 96TB* of capacity, the PS6110E combines maximized capacity and optimized scalability with simple, flexible management.